Personally I’ve grown accustomed to the popcorn tins featuring the usual buttered popcorn, caramel corn, and (my favorite) cheddar cheese popcorn. But KingofPop.com offers you WAY more than this. Some of the more intriguing flavors include Zesty Ranch, Buffalo, Dill Pickle, Pizza Time, White Chocolate Pineapple, and Birthday Cake! Wow! 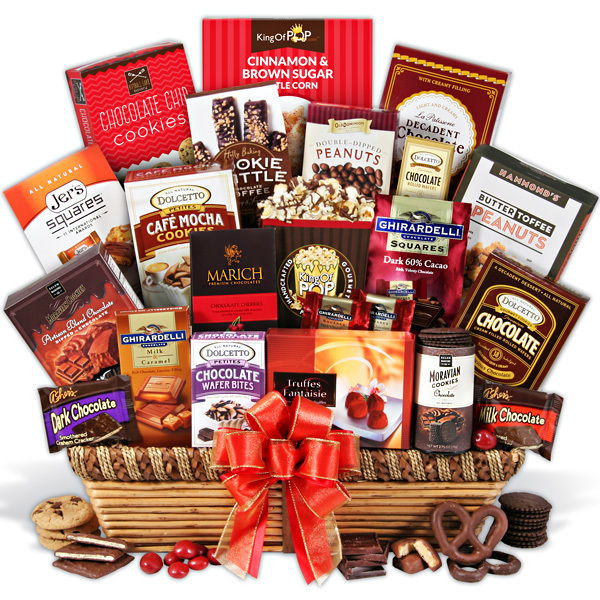 As I look at their site, I just want to try them all it…..it’s like jelly beans! But since I can’t try them all at once, right now I’m doing the next best thing. A few days ago, the mail man brought King of Pop’s Popcorn Sampler. Woot! 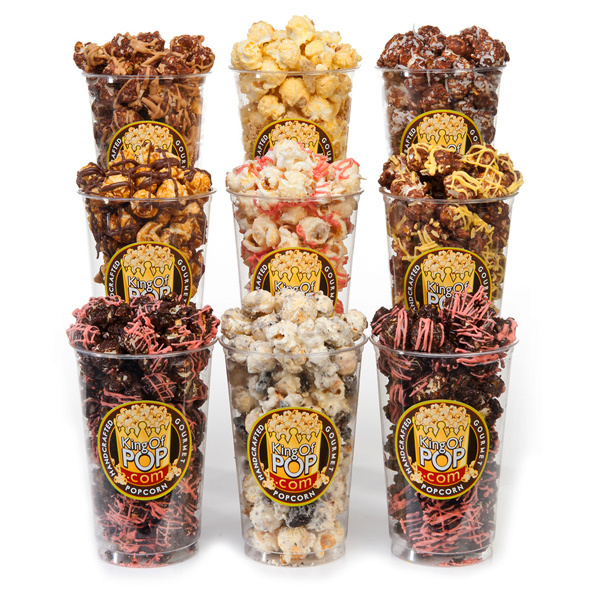 They have several Popcorn Samplers, and my box includes some of the sweetest of flavors: Peanut Butter Cup, Funky Monkey, Island Coconut, Strawberry Cheesecake, Cookies & Cream, Coffee Berry, Salted Chocolate Caramel, Banana Cream Pie, and Dark Chocolate Chile. Oh my goodness! You will love this popcorn! I have to admit, I was thrown at first by some of the flavors…..but let me tell you, they taste AMAZING! The first flavor I tried was the Peanut Butter Cup…because you can never go wrong with chocolate and chocolate. It was so good! Next I tried the Island Coconut, because I wanted to try a flavor I was unsure of….wow! I’m not even really “big” on coconut, but I just loved this popcorn! Then I followed this up with the Funky Monkey…..a chocolate popcorn covered in a banana-infused white chocolate. This stuff is so good I couldn’t believe it! It’s like Heaven! This, of course, made me anxious to try the Banana Cream Pie….another slice of Heaven! Who would you love to give the gift of popcorn to this Valentine’s Day? And which flavor(s) would you most like try from King of Pop’s yummy selections? Comment below! Disclosure: I received product samples to facilitate this post. The opinions are my own.